Everyone knows that St. Patrick’s Day is never a calm, quiet affair. Where there’s day drinking, there’s usually a party raging on well into the wee hours of the morning. Take a break from the crazy New York City scene and slow it down a notch in the sixth borough. Known for being a party town, Hoboken’s not only just the birthplace of baseball. It’s also given birth to a host of local bars that are sure to tickle your fancy. Check out what this Hudson River town has to offer for entertainment and nightlife. You’re sure to find a bunch of bars and clubs that have your best party interests in mind. This tiny city is just one square mile in area – meaning you’ll have just the right amount of space to walk to and from each bar with no problem. 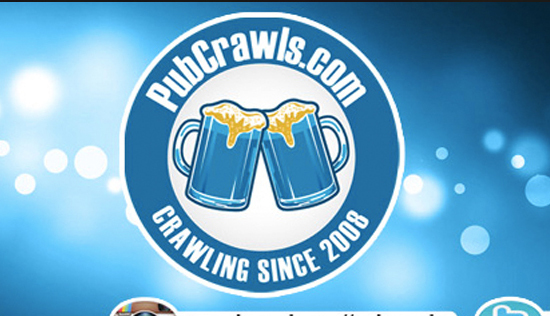 Join the St. Paddy’s Luck of the Irish Pub Crawl this year in the heart of Hoboken. If you find yourself fancying a nice skyline minus the ridiculous crowds, you’ll still be able to spot a panoramic view of the iconic NYC city outline from the Hudson. Hoboken’s got a pretty high bar-per-capita ratio so you’re in for a treat. Before you start crawling through the city, stop at the registration location to snag a list of participating bars, a map of these locations, as well as the drink special information so you can be a super savvy holiday drinker. Armed and equipped with this information, you can make your way out onto the scene and get down to the shamrock jam. Native Hoboken residents know all about the vast variety that this phenomenal town has to offer, so why not venture out and see what all of the buzz is about? 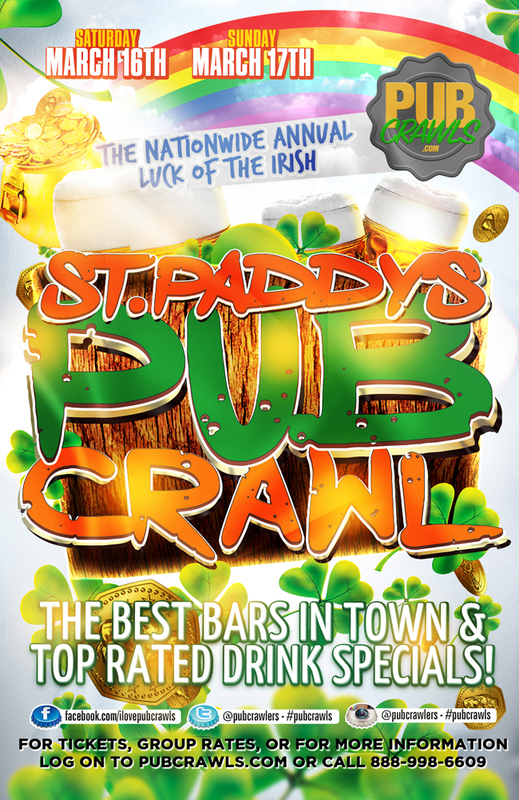 Join the annual Hoboken St Paddy’s Bar Crawl for a memorable St. Patrick’s Day celebration you won’t forget.